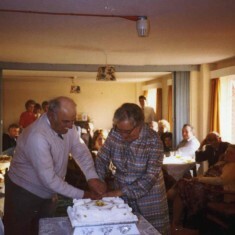 Mrs Mary Topps celebrated her 100th birthday in the Spring of 2010. 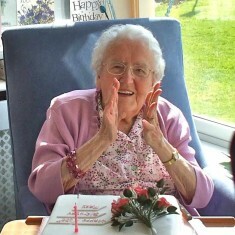 Sadly, we have to report the news that she died peacefully on Thursday, 3rd February, 2011. 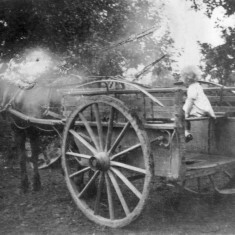 Mary moved to Muston in 1926 and lived lived locally for all the rest of her long life. 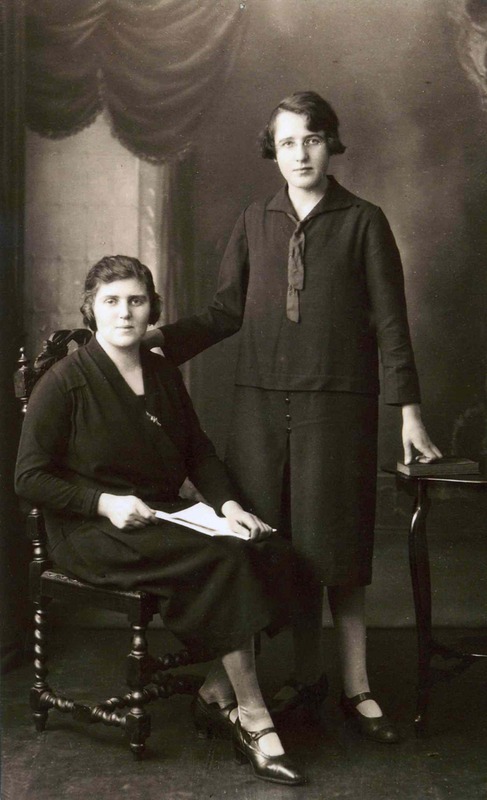 With and her daughter, Mrs Wendy Cross, Mary Topps recalled these memories of the 84 years that she lived in Bottesford and Muston. 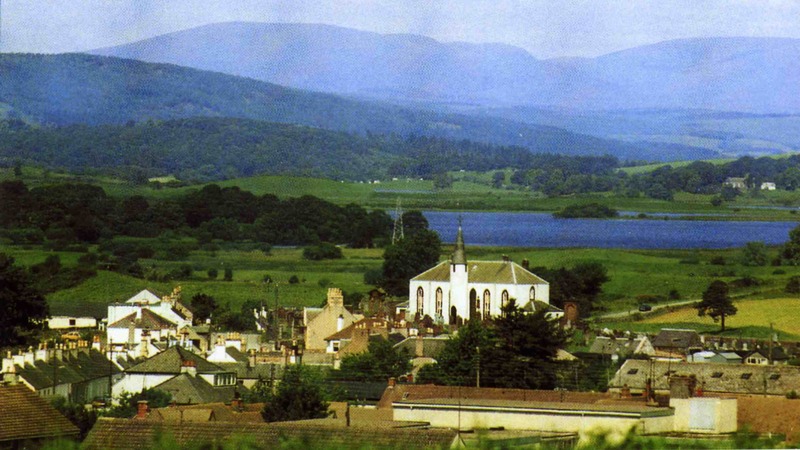 Mary Johnstone was born in the village of Crossmichael in Dumfries and Galloway, Scotland on 17th April 1910. 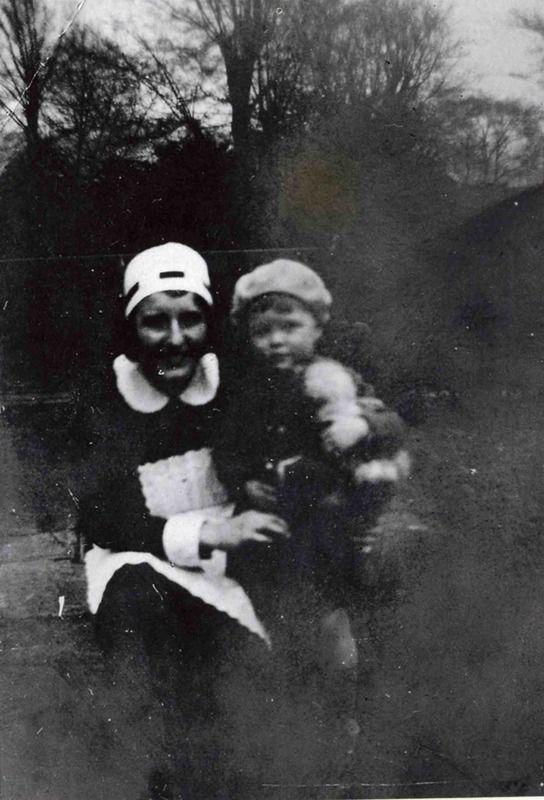 When Mary left school, she worked as a parlour maid for the Duncan family at Danevale Park House in the village. Mary’s move down from Scotland was not of her own making. 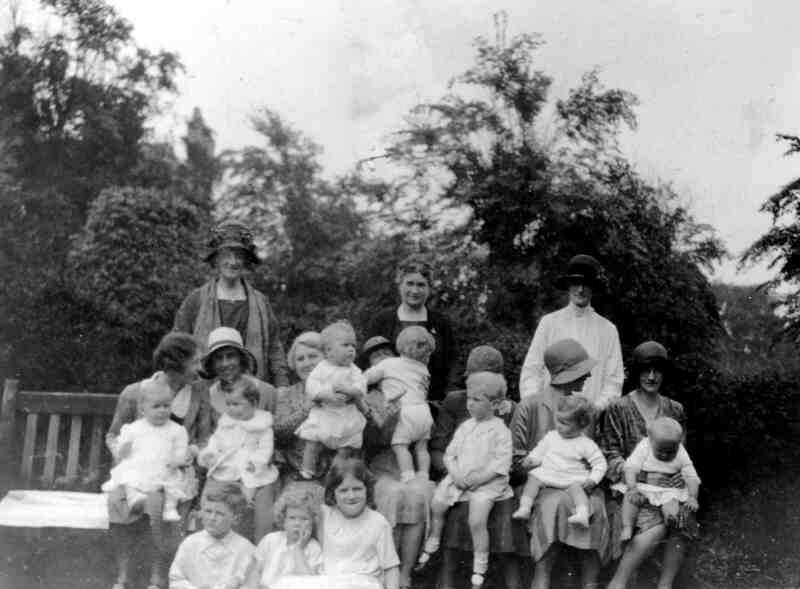 Margaret, known as Meg, Mary’s sister, was offered a position at Glebe House in Muston. However she would not take the post unless Mary was able to accompany her to England. 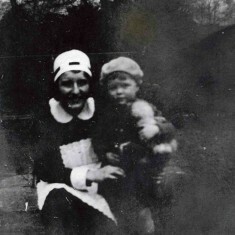 Fortunately, Mary was offered a post as nursery maid. 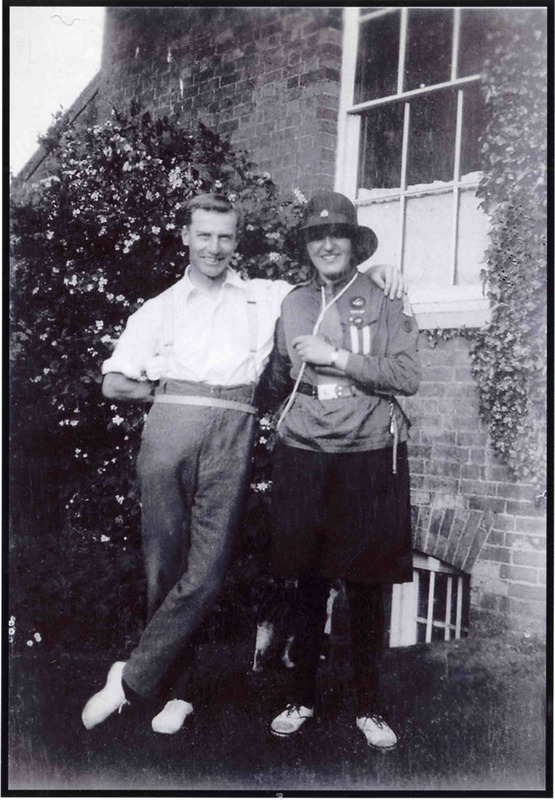 Mary had been a Girl Guide in Scotland and when Guiding was started in Bottesford, she helped with the unit that was established and led by Mrs Royle, wife of Doctor Royle. She helped with the Brownies and Miss Margaret Taylor remembers that she was Tawny Owl when Mary was Brown Owl. 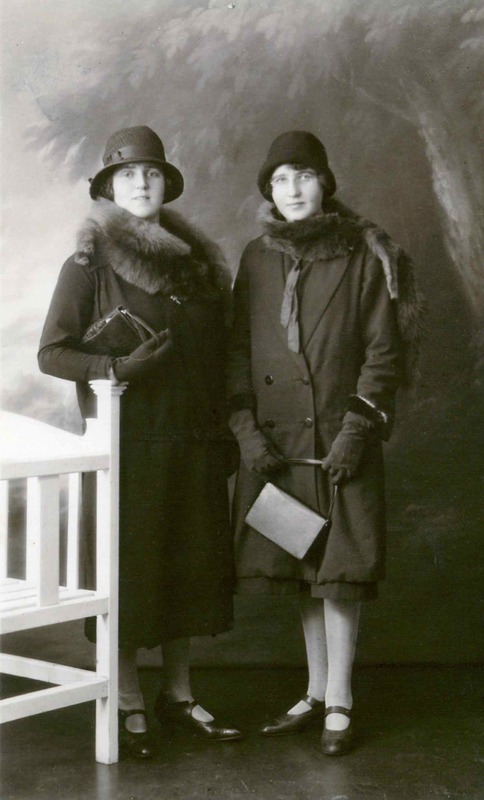 In the twenties and thirties the young women of Bottesford and Muston often had to travel out of the village to find work. 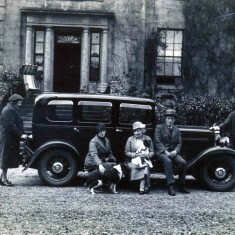 Mary’s second position was with the Lewis family who lived in The Park in Nottingham. J. 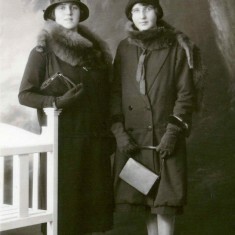 B. Lewis were the owners of Meridian Underwear and Mary worked for the family until she married in 1934. There were several Topps families in Muston and together there were enough men to make up a football team or a cricket team. 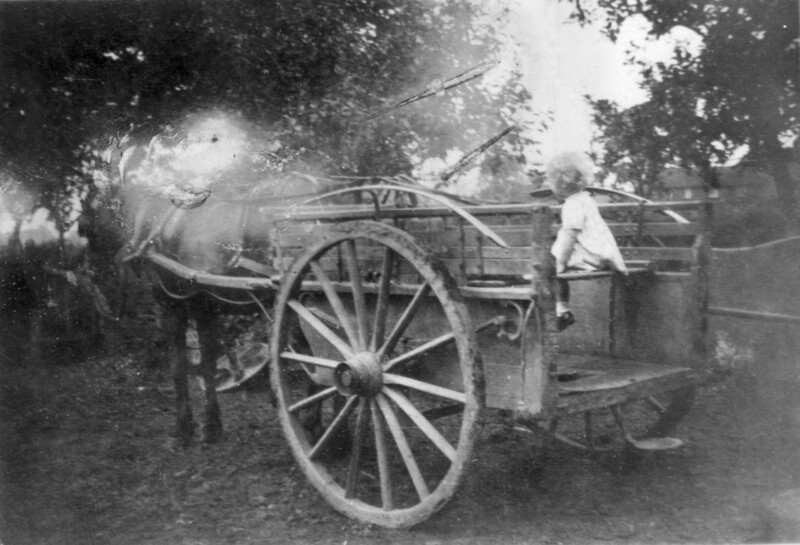 Many of the men became gamekeepers – work that certainly helped the domestic economy of large families. 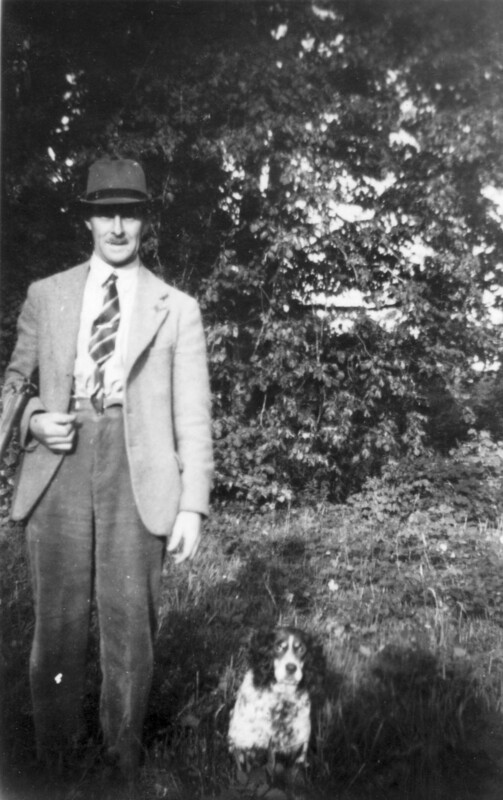 In 1929, Frank Topps of Muston was working as a waggoner for Herbert Daybell. In one of the Daybell barns, there is a mark in the concrete reading ‘FT 1929’. 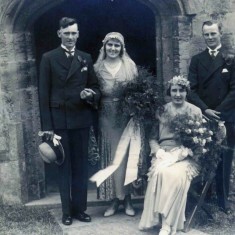 Mary Johnstone married Frank in 1934, two years after her sister Meg had married his brother John Topps. 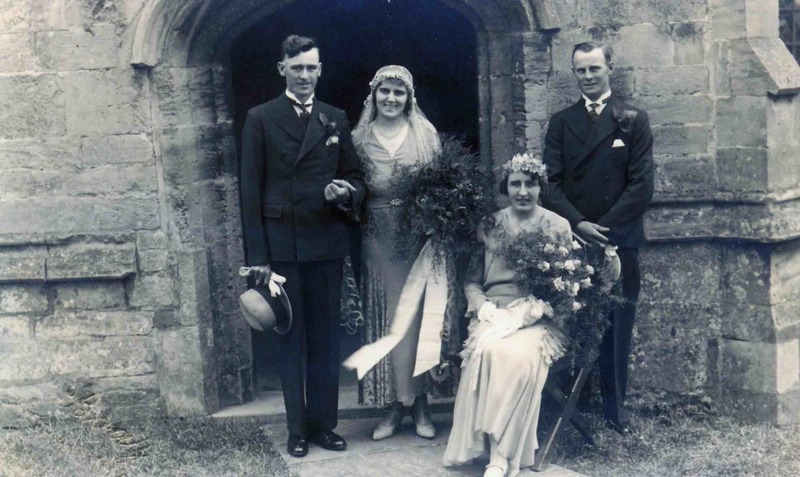 After Mary and Frank’s marriage, the couple moved to Bottesford. 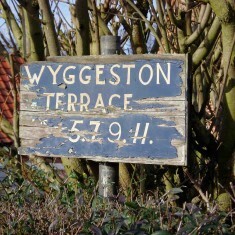 They lived at Wyggeston Cottages and their two daughters, Gina and Wendy, were born there. Wendy can remember that her mother cooked on two gas rings and used the oven in the black-leaded fireplace. The radio and the iron were powered from the light socket. 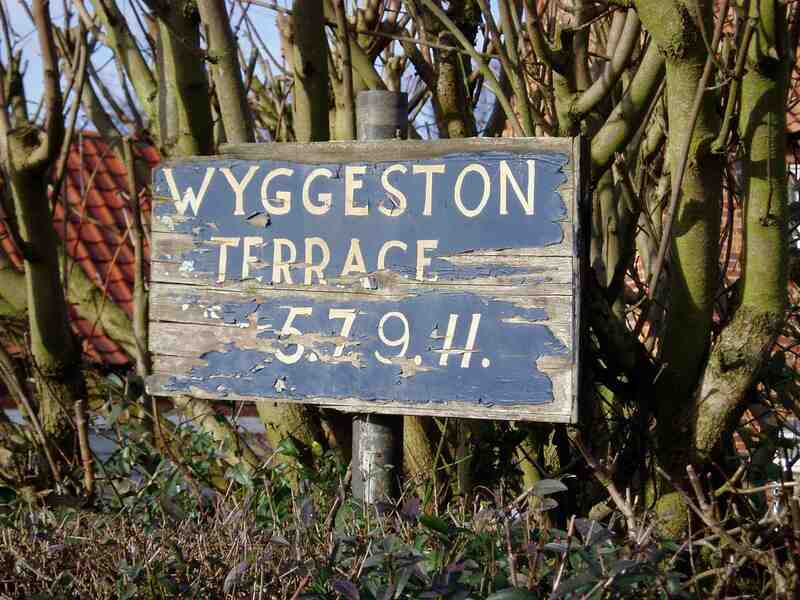 At the bottom of the gardens of Wyggeston Cottages were pig sties. Most families kept a pig. Arthur Taylor, the butcher would come and kill the pig. 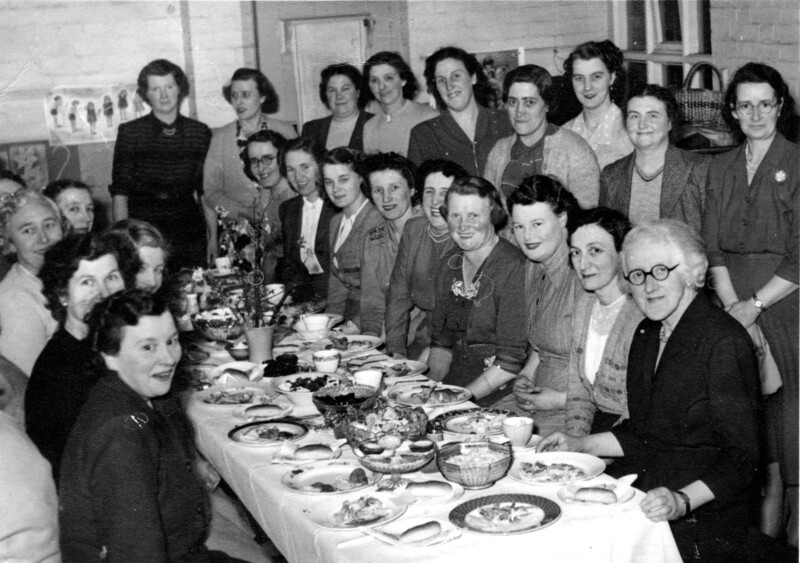 The ladies of the Topps family would spend three days putting pork into brine and making pork pies, sausages, brawn and sausage meat and use every part of the pig. 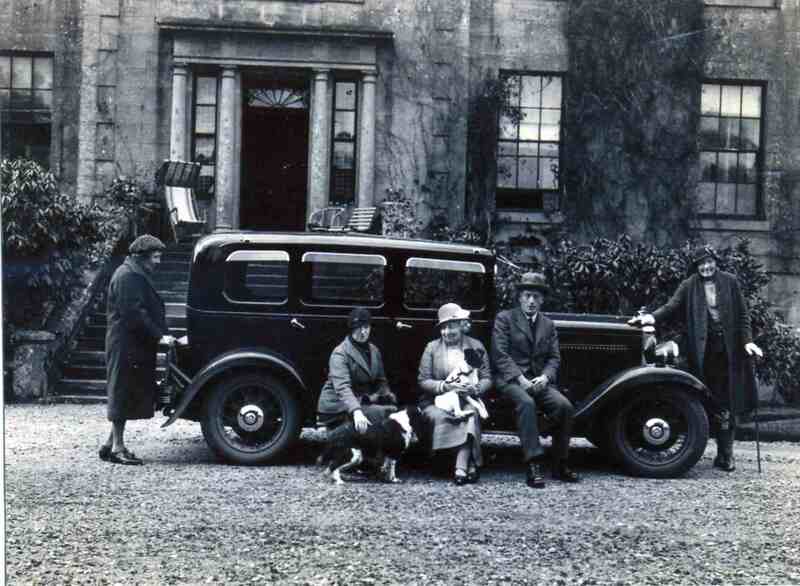 On a typical Sunday, the Topps family walked up to Stenwith to visit Uncle Jack and Auntie Meg (John and Margaret Topps) and their cousins. 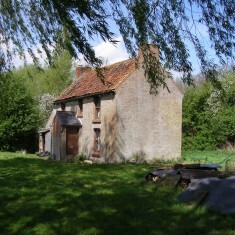 They lived in a cottage by what was called the ‘Jack Topps Lock’. 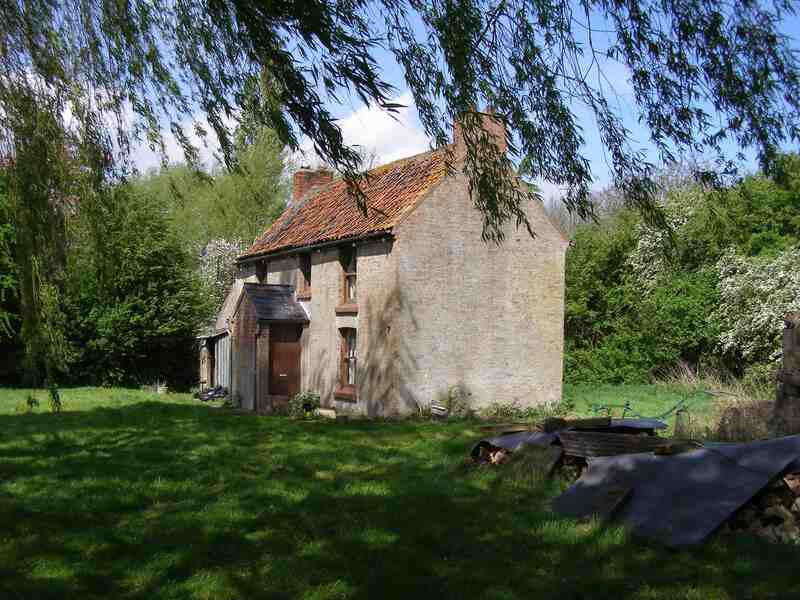 The cottage had no piped water or electricity and it was possible to swim in the Grantham Canal. After Sunday tea, the family walked back to Bottesford. 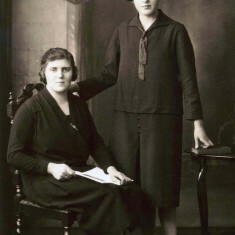 As well as bringing up a family, Mary helped both Mrs Lee on Belvoir Road and Mrs Keel, the wife of Councillor Keel who lived on Grantham Road. She also helped Mrs Arthur Taylor (wife of the butcher) with her family and worked in the canteen at Barfords in Grantham. The Topps family lived at the Coffee House on Market Street from 1951. 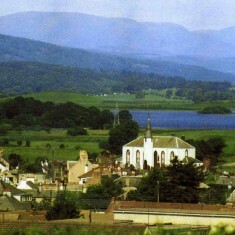 Frank Topps ran the Youth Club while they lived there and Mary ran a café for cyclists passing through the village. 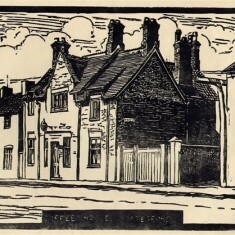 The Coffee House served as an office for the registrar for births and deaths. He visited Bottesford on a Wednesday. 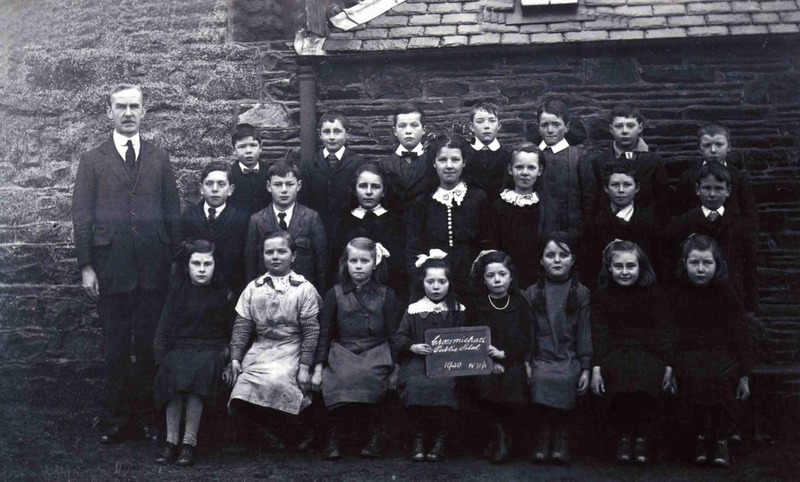 When the school dentist had carried out his inspections at school, those unlucky children needing dental work would go to the Coffee House for those procedures to be done. At that time Wendy Cross remembers that you entered the Coffee House through a central front door. To the left was a large room where Mary had her café and the registrar had his office. To the right of the door were the wooden stairs up to the room where the youth club was held. Directly opposite the front door was a beautiful mahogany counter with shelves behind. You had to pass through the lift-up flap of the counter to go through to the living quarters of three downstairs rooms including the kitchen, and stairs to the bedrooms above. Frank became the grounds man at Belvoir High School when it was built in the late fifties. The family lived in the caretaker’s house at the end of Belvoir Avenue. 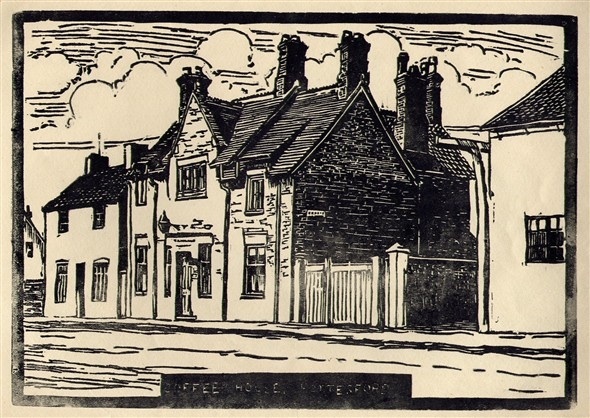 In the 1960s the family also lived at Craven House on Market Street (owned by Mary Kettleborough) and in a house owned by Lance Keel on Chapel Street. Wendy Cross remembers that the vegetable garden went down to the River Devon before the firm of W.J. Roberts was established there. 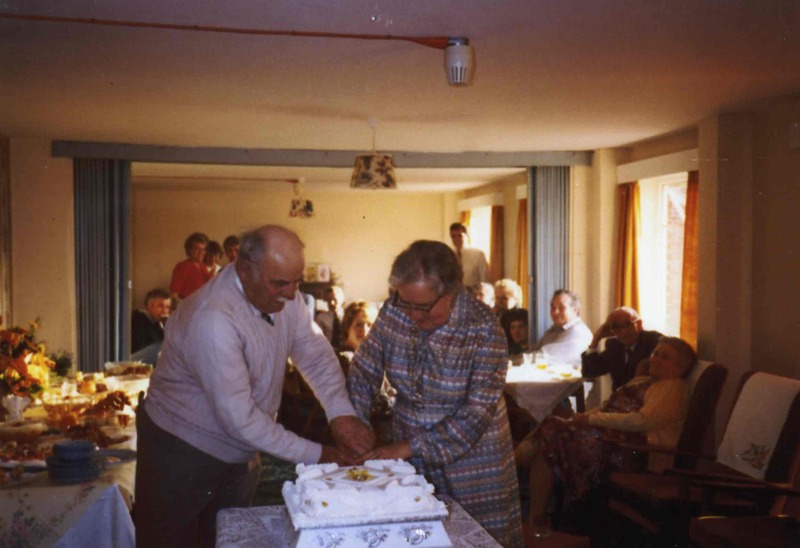 When Frank and Mary lived at Clematis Cottage on Grantham Road (which later became Rose Cottage), Mary worked at the café at the garage on Grantham Road kept by the Simms family and Frank was the cellar man at the Red Lion when Brian and Margot Beacroft were the licensees. During the years that she has lived in the village, Mary has been an active member of village organisations including the WI, the Young Wives and the Mothers’ Union, receiving her 70 years membership certificate in 2003. She went to church every Sunday and sat in the same seat for 80 years. 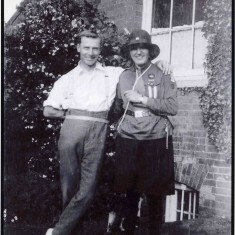 In later years Frank and Mary moved to Granby Drive and joined in activities at Warwick Flats. 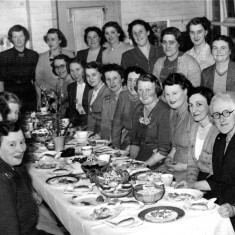 Mary was also a member of the Forget-me-not Club and the Caledonian Society in Grantham. 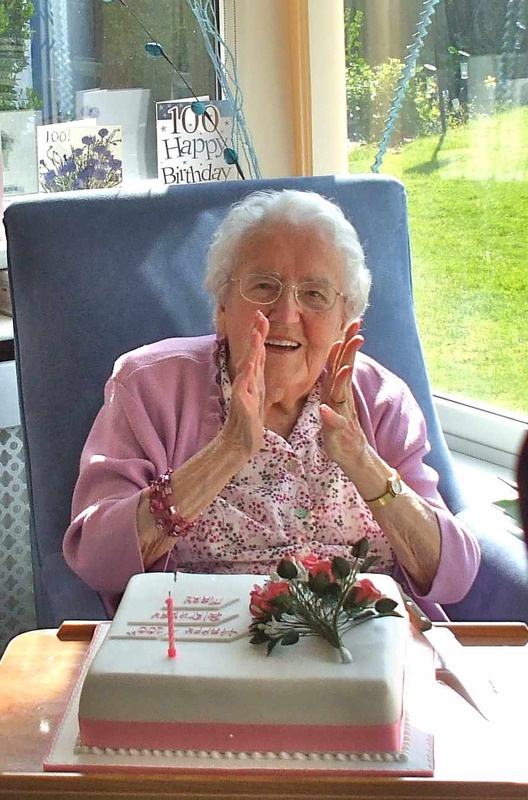 Mary has now moved to Gregory House in Grantham and celebrated her 100th birthday on April 17th 2010 – a lady who has many memories of Bottesford life but is also proud of her Scottish ancestry. Just found out that Mary Topps has died. I have great memories of her as she lived next to my Mum and Dad on Granby Drive. Dad was all ways pulling her leg as to how many drams of whisky she had been drinking. She was proud of her age and every time you saw her she would tell you I am so and so years old. We would have a laugh and a joke when we were out in the garden. Sorry to here the news. God bless Mary. I’m so glad to have found this page. 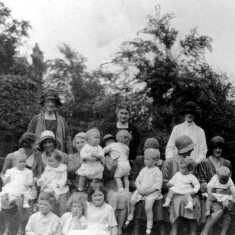 Mary was my grandmother’s nanny I think (Mrs Lewis of The Park, Nottingham, was my great grandmother). How wonderful to have found a picture of them both. Thank you for sharing. Thank you very much for getting in touch. We will pass on your comment to Wendy, Mary’s daughter. I am sure will be really pleased to learn that a member of the Lewis family has been in touch. 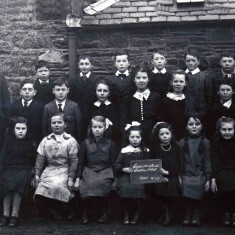 If you are able to identify where people you know are in the photograph please do get let us know. Thank you. Just let Wendy know you have seen Mary’s page. 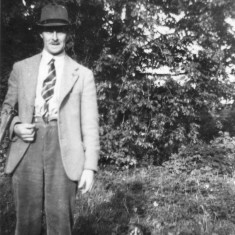 She is thrilled that you found it and will look for family photographs she has that include the Lewis family. Am so glad I knew Mary Topps (or granny) for the short while I lived In Bottesford. What a great lady she was, and what a long a varied life she led. 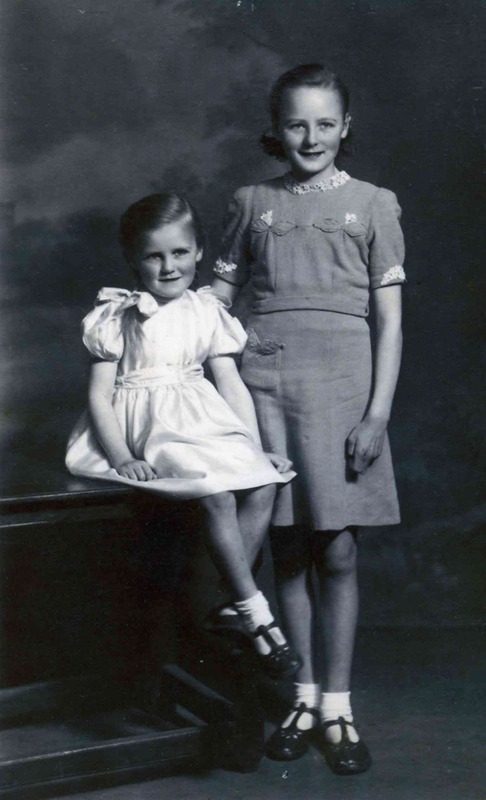 Her legacy lives on in her family through Wendy’s children, her grandchildren. She was also a good friend to me, am so lucky to have known her. Thank you Pauline for sharing your thoughts about Mary. Great to know you are still in touch with Bottesford. How nice. I think my grandmother is standing in the front of the picture and I assume my great-grandmother is holding my great-uncle Jimmy. I’ll ask my mother to have a look so she can confirm that. I know we’d treasure the opportunity to see any pictures you have of the Lewis family. Do you have my email address? Dear Hannah, With your permission we can pass on to Wendy the email address you entered when submitting your comments. Hello. Marjorie Wormington nee Lewis was my mother and she died on January 20th this year. 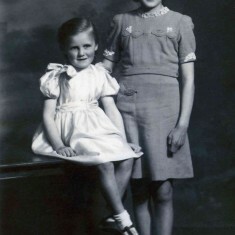 Mary Topps was their maid and my mother was very fond of her and her family. Indeed Gina was her bridesmaid in 1942. My mother was in touch with Mary and Gina so we tried to get in touch when she died, but without success, so any news of the family now would be most welcome. (I’m Hannah’s auntie). Thanks. I’d be very happy for you to pass it on to her. As you can see, my whole family would be very interested.